West Midlands Police have launched an investigation after a man is treated for pellet wounds to his head and shoulder. 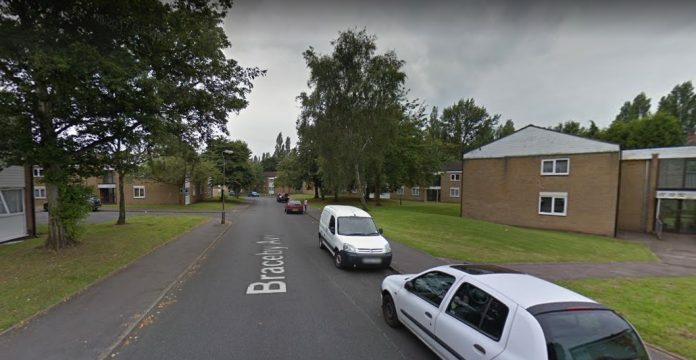 Police received a 999 call just after 6.30pm on Monday (3/12) reporting a man having been shot in Braceby Avenue, Billesley. The man, aged 19, suffered pellet wounds to his head and shoulder. He has undergone surgery to remove the pellets; his injuries are not life threatening or life changing. It’s understood the offender left in a vehicle. Armed officers attended the scene which was cordoned off for a period to preserve any evidence. Enquiries are on-going to trace the vehicle and offender. Anyone with information is asked to contact WMP quoting log 2252 from 3/12. They can call 101 or speak to the charity Crimestoppers anonymously on 0800 555111; callers won’t be asked for their name and calls can’t be traced.